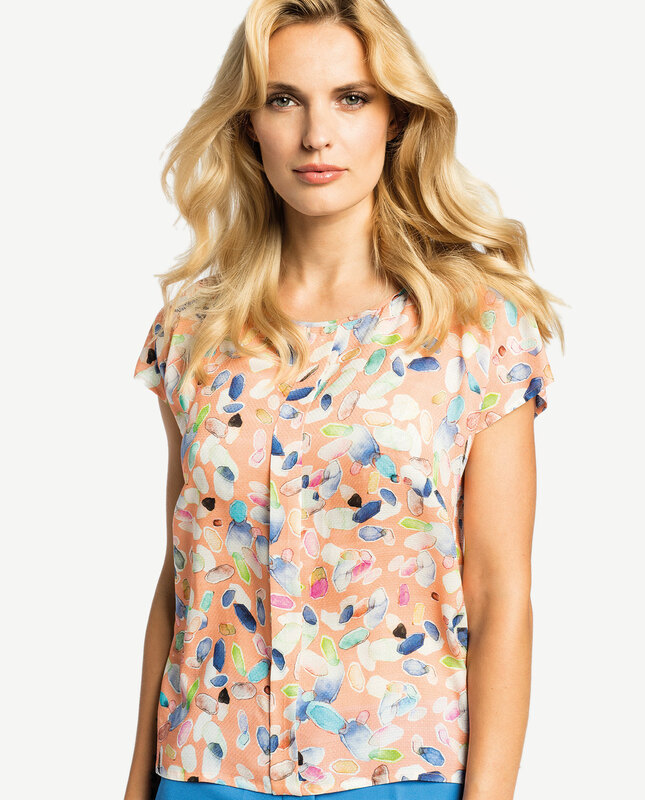 Elegant relaxed blouse with short sleeves in patterned soft fabric. A decorative dart around the neckline accentuates its feminine, romantic character. Fastened with a button with a droplet hollow at the back. An absolute must-have in summer looks. For a workaday situations, pair it with jeans and flat pumps, for work opt for well-tailored jackets, trousers or pencil skirts. 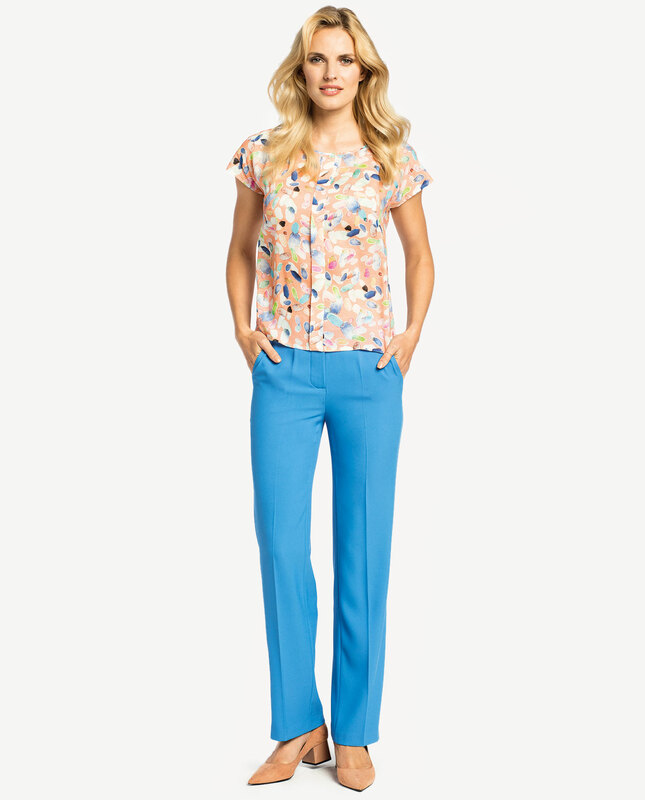 The garment will introduce some brightness to your wardrobe and give it a somewhat lighter character. It is an alternative to shirts and tops of which we are so fond in summer time.